They told David it was impossible–that even the Reckoners had never killed a High Epic. Yet, Steelheart–invincible, immortal, unconquerable–is dead. And he died by David’s hand.
. And he’s willing to go on a quest darker, and more dangerous even, than the fight against Steelheart to find her, and to get his answers. 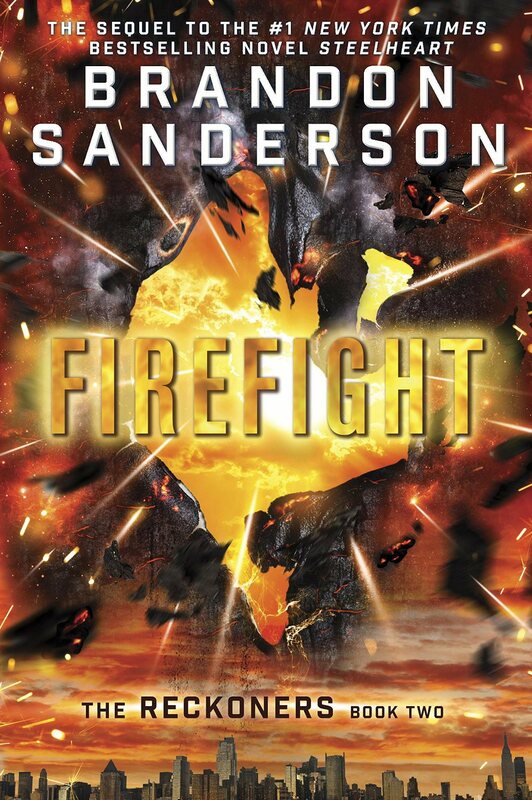 I wasn’t really surprised at how good Brandon Sanderson’s Firefight was — the man is a writing machine. I don’t think it is possible for him to write a bad book, in fact I would be shocked to find a book of his I did not enjoy. What I did find surprising however, was how much better I found Firefight to be when compared to Steelheart. 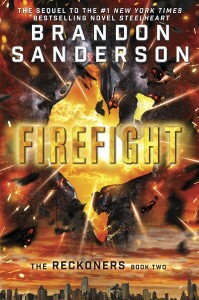 It has always been my opinion that Sanderson’s YA books read more like middle grade but with Firefight I didn’t find that to be the case. I feel like the characters deal with issues darker than ones Sanderson has broached before in one of his YA books. It really made the book that much more enjoyable. In the first book of the series we meet David Charleston a teenage boy who has dedicated his life to the study of Epics in an attempt to learn their weaknesses in an attempt to bring down the Epic who killed his father–Steelheart. After joining a group of freedom fighters known as the Reckoners David is finally successful in his lifelong goal. He has killed Steelheart and the city of Newcago is finally free. But without his quest for vengeance to sustain him, David soon finds himself without goal or sense of purpose. After another High Epic begins sending lesser Epics to Newcago to kill the Reckoners for daring to kill the cities ruler, David soon finds himself on his way half way across the country. David soon learns though, that everything is not as it seems in Babyilon Restored, the city formerly known as Manhattan, and he begins to question everything he thought he knew about Epics. Can an Epic be saved from his or her own power? I really enjoyed how fast paced this book was, I burned through it in a single day and it wasn’t even because it was short. 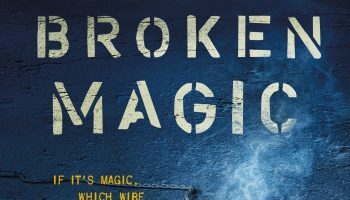 There was just so much action and every chapter ended on a one liner or cliffhanger that forced me to keep reading to know what happens next. 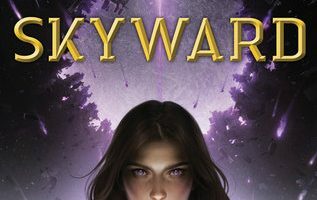 I even found I enjoyed David a lot more this book than I did in Steelheart, he’s still as driven and motivated as before but he has a new goal and after the events of Steelheart he isn’t so narrow minded when it comes to Epics. He shows a lot more maturity, thought, and common sense than most of the adults in the book who are supposed to know better. In addition to the awesome new setting and David’s new and improved attitude, the newly introduced Epics are really quite something. 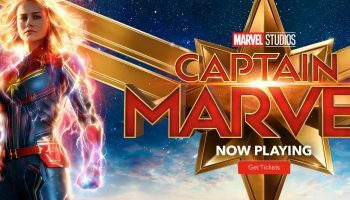 We get a really good look at the broad spectrum of super powers available, and get a good look at the fact that not all Epics are high powered, semi-invincible monsters. Firefight really throws some light onto just what the Epic’s are, where they get their powers, and why they corrupt them the way they seem to. I was really disappointed in myself for finishing this book so fast, I kept telling myself I would take my time and spread it out over a few days. Now I have to wait an entire year for Calamity to released and to get the conclusion to the story that I desperately crave. 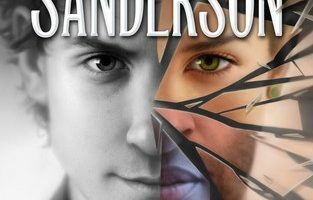 While I think anyone who is a fan of Brandon Sanderson, urban fantasy, or superhero fiction would enjoy this story, I really do suggest everyone reads Steelheart and the short story Mitosis first. I didn’t read Mitosis and I found myself a bit confused at time because of all the references, so I can only assume it will be 10 times worse to someone who hasn’t read the first book. If you’re interested, check out this 5 minute clip from the Firefight audiobook courtesy of Audible.